Kybella is the first and only non-surgical treatment that is FDA approved for the reduction of submental fat — the “double chin” area. Many patients who have previously tried dieting, skin-tightening procedures, or even special facial exercises only to get no results are achieving great results with Kybella. The great majority of patients in Kybella clinical trials were very happy with their appearance after treatment and found that they enjoyed a significant change. This simple treatment is minimally invasive and can be done as an outpatient procedure at Ageless in Pensacola. What Is Kybella Made From? Kybella has an active ingredient called synthetic deoxycholic acid. While deoxycholic acid is found in the body naturally, its main job is to help the body eliminate fat cells all through the body. By precisely injecting synthetic deoxycholic acid directly into the double chin, that fat is targeted and destroyed. Kybella doesn’t just shrink the fat cells, it actually eliminates them. Once the fat cells are melted, the liquid will move into the blood and will then gradually be eliminated from your body through normal lymphatic system functions. 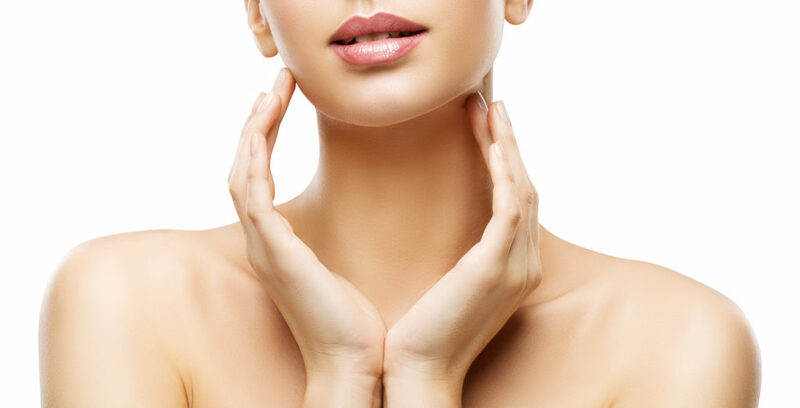 The Kybella injection procedure starts with a thorough application of topical anesthesia. This anesthesia is gently spread all over the treatment area and then allowed to take full effect before the injections begin — usually, this takes 10 to 20 minutes. Your doctor will outline the treatment area to create a guideline for the treatment, and will then deliver the Kybella in ultra-thin syringes. The treatment process usually takes only around half an hour to an hour. Thanks to the anesthetic cream, you’re unlikely to experience significant pain or discomfort. Most patients need a total of two treatment sessions, with each session requiring two vials of Kybella. However, up to four treatment sessions of two vials each may be required. The exact amount needed depends on how much submental fat you have. Your treatment goals can also impact the total amount of Kybella used. The treatment sessions are typically scheduled one month apart. This allows the doctor to see the full results of the previous treatment before proceeding with the next one. After Kybella treatments, it’s normal to have some mild to moderate side effects. These effects can include swelling in the submental area, redness in the submental area, bruising in the submental area, and tenderness in the submental area. These side effects can last for as little as a couple of days but could last up to a week in some cases. You can usually go back to work the day after your Kybella treatment. Some patients may even schedule Kybella treatment during the day and then return to work later that day. Although you’ll probably feel very aware of any swelling or other side effects, it’s rare for others to notice any difference in your appearance. You can use concealing makeup on the redness or bruises if you’re worried about visible bruises or redness. Most patients start to notice results from Kybella after their second treatment session, but the final results aren’t typically obvious until around 12 weeks post-treatment. Because Kybella permanently kills the fat cells, the results of Kybella can be considered permanent. However, it’s very important that you maintain good dietary habits and a healthy weight to avoid the expansion of other fat cells in the area. As long as you maintain your weight, there’s no reason that you’ll ever have to face a double chin again after Kybella treatment. Kybella has proven to be so successful for submental fat that many patients are now asking for fat elimination in other major problem areas. One of the areas that women struggle with fat the most is the underarm area that moves alongside the bra line. This is often called “bra fat” or “armpit fat.” Just as with submental fullness, bra fat can be particularly tough to lose and is hard to address successfully even if you lose significant weight. Kybella is now being injected in this area with great success, so be sure to ask your Ageless in Pensacola doctor about it if this is a concern for you. Ready to Melt Away Your Double Chin or Bra Fat? Kybella can help. Contact the Ageless in Pensacola team anytime to arrange a consultation. We’re looking forward to seeing you soon!